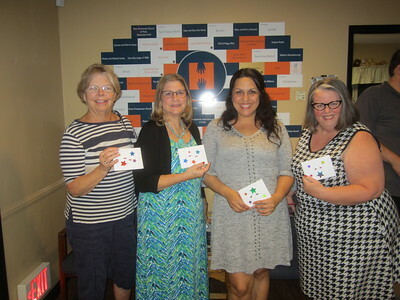 L-R: Soroptimists Kaye Van Nevel and Lani Beltrano and Operation HOPE's Nicole Ketcher and Kathleen Higgins hold envelopes containing Walmart gift cards to be presented to the children at the shelter. 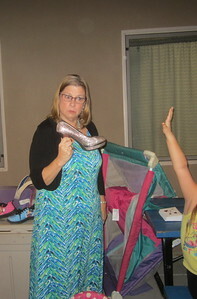 What kind of shoe will YOU buy with your gift card? 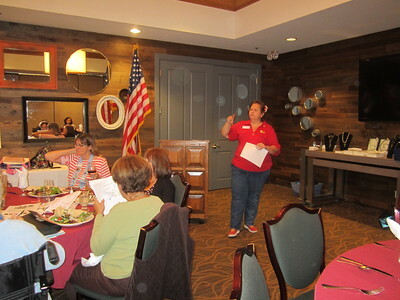 asks Soroptimist Vista/NCI co-president Lani Beltrano. 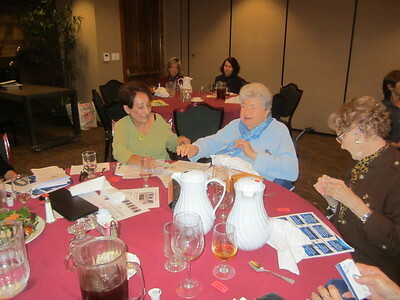 Jennifer Luz-Olsen was the guest speaker at our November Program meeting.